“Stag Buck” Velvet Antlers: What Causes This? BIG DEER TV producer Justin Karnopp sent me this text: Shot velvet buck with no testicles. Coolest buck I’ve ever killed! I can’t wait to see the video footage. This will make a terrific episode for next season, as a stag buck like this is very rare. In extreme cases both testicles remain in the abdominal cavity and never descend into the scrotum. The normal production of testosterone is diminished, and the antler cycle of hardening, velvet shedding and antler casting is altered. 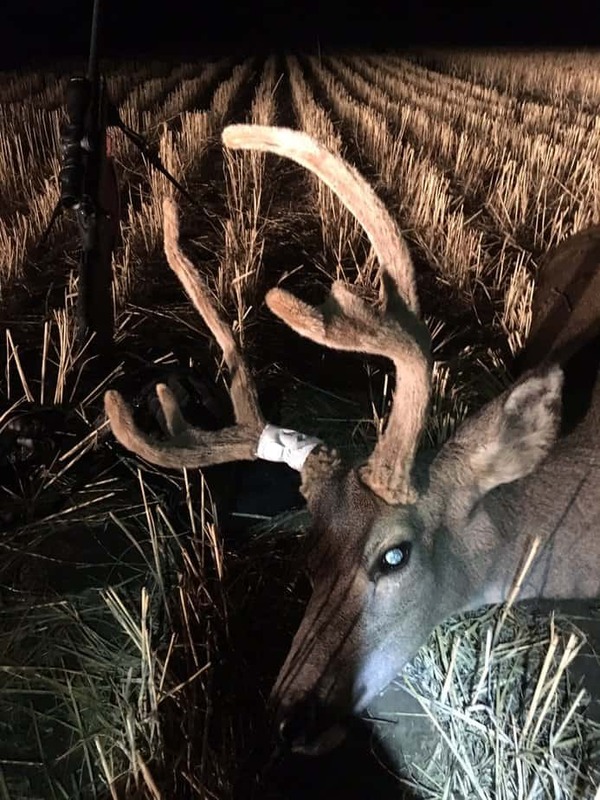 These same results can sometimes be produced in a buck that is born normal but subsequently suffers a testicular injury. Cryptorchid bucks are different. They don’t participate in the seasonal rituals of normal bucks. Because their testosterone levels remain low in early fall, their antler development is not completed, and their velvet is not shed. Cryptorchid bucks don’t participate in signpost behavior… They lack the chemical stimulation to express their dominance and individualism… the necks of cryptorchid bucks do not swell as the breeding season approaches. Reproductively, they are in neutral. Antlers are not shed, and they remain in velvet year round… the antlers continue to grow as the animal matures. I all my travels and hunting I have never seen a stag buck, have you? If anybody has shot one, send me a picture! This entry was posted in Big Bucks, Big Deer TV, BigDeer, Deer Hunting, Hanback by admin. Bookmark the permalink. Upon butchering the buck I found that he did have testes but they were tucked up in the abdominal cavity.